When the time comes to scrap your car, there is no denying that you will be able to find lots of options for Honda wreckers in Auckland. Starting from wreckers that would have your car towed away for free to small companies who would buy the car from you in any condition. However, in your case, you might want the best of both worlds. This would mean that you would want to use a company like Cash My Car who can give you a free and convenient service, while at the same time offering you the best price for your Honda. 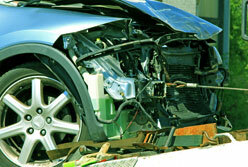 Since using a car wrecking company might be something completely new to you, it would make sense to be hesitant and apprehensive about the whole thing. However, you have absolutely nothing to worry about since Cash My Car makes the whole process quick and easy. Continue reading below to understand more about the benefits of using our Honda wrecking service when selling your unwanted vehicle. When looking for a legit and reliable Honda wrecking company, you want to be assured of the fact that they are authorised to properly dispose of your Honda parts. This means that all the scrap parts are disposed of in a safe and proper manner without causing any further harm or damage to the environment. Parts such as batteries, fluids, and tires would be de-polluted. Since we have been operating in the industry for more than 20 years, we are aware of and familiar with all the government rules and regulations. We make sure we comply with all these rules to provide the best service possible for you as well as the environment. When selling your Honda, there are no guarantees that you would be getting a fair price from a private buyer. You just have to rely on your gut instinct and hope that the price you get is competitive and reasonable. When you choose to use Cash My Car you are guaranteed a top cash price for your Honda based on our experience and thorough knowledge of dealing with unwanted and wrecked cars of all makes, models, and conditions. 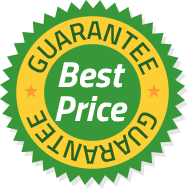 We conduct a thorough inspection of your car and know the market so can easily determine the best possible price for your car so you don’t have to worry about not getting the best price possible. Cash My Car is the largest Honda dealer in Auckland. As we are the wrecking company and do all the dismantling ourselves so don’t resell your vehicle or scrap car onto other wreckers. This means we can guarantee you get a premium cash price for your car. You get more cash and a better service, guaranteed! We have multiple tow trucks running in the Auckland region and provide a free Honda collection service. We can pick up your car on the same day you get in touch. We don’t just buy certain types of Honda vehicles. Because of our large retail buyer network, we pay top cash for cars prices for all Honda models. 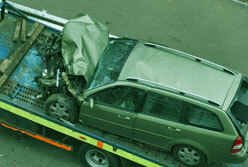 Car damaged and not insured, or would repairs cost more than the car is worth? 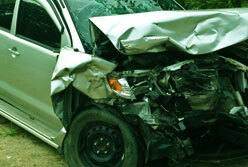 We will pay the best cars for cash price for your wrecked Honda, it couldn’t be easier! If your Honda has been written off or doesn’t run anymore or is in pieces don’t throw it away. You might be surprised at how much it’s actually worth!